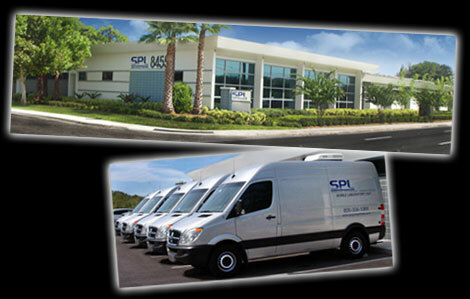 Surgical Pathology Laboratories (SPL), is Florida’s largest provider of frozen section coverage to individual doctors, group practices and surgical centers. We have an available staff of 7 pathologists supported by 9 full-time histotechnologists. A CLIA, Florida licensed, and a College of American Pathologists accredited laboratory. Pathology on your site using our fleet of mobile labs that specialize in Frozen Section Services with on-site reporting of diagnosis and margin evaluation. Aid to Mohs Surgeons in the evaluation of complex or less common tumor removal. Training for histotechnologists, Mohs surgeons and medical students. Our staff of ASCP certified histotechnologists also help train Mohs technicians and offer back-up services. QC, slide review with diagnosis and retention of tissues for more poorly differentiated squamous cell carcinoma, and soft tissue tumors for Mohs surgeons. Tissue retention services for up to ten years. Slide preparation for individual doctors, clinics and medical examiner offices. Dr. Bulson has most recently completed his second term as president of the American Osteopathic College of Pathologists; he is an AOCP representative to Intersociety of Pathology. Dr. Miller is dual boarded in pathology as well as internal medicine. Dr. DeGregorio is a co-founder of the DeGregorio Family Foundation for Gastric and Esophageal Cancer Research Foundation. Dr. Barton has written 24 published full length papers, four major abstracts, co-editor for 8 books and past associate editor of The Journal of the Florida Public Health Association. Dr. Csere served our country as a LCDR in the U.S. Naval medical Corps, a COL in the U.S. Army reserve Medical Corps and at the 56th Medical Group Hospital Mac Dill AFB. Currently he also serves as the Vice Chairman of the Columbia Brandon Regional Medical Center. Dr. Herbert received the Physicians Recognition Award from the American Medical Association and received a special certification in Primary Pathologist in Thin Prep, Cytology from CYTYC. Expertise: Dermatopathology and Gastrointestinal Pathology. Dr. McPherson graduated from the University of Cambridge, UK. She is a CAP Foundation Informatics Award recipient and CAP laboratory inspector. Dr. Lewis has written over 200 articles, book chapters and abstracts and has been a guest lecturer all over the world in over 200 seminars and symposiums. He was Outstanding Physician and Teacher of the Year, Sun Coast Hospital Intern and Residency Program.